Digital color 4.5 inch TFT monitor. PAL/NTSC two systems auto switch. Supports two ways of video input AV1, AV2. Matched with a stand holder which has adhesive sticker in the bottom. Display angle could be turned. 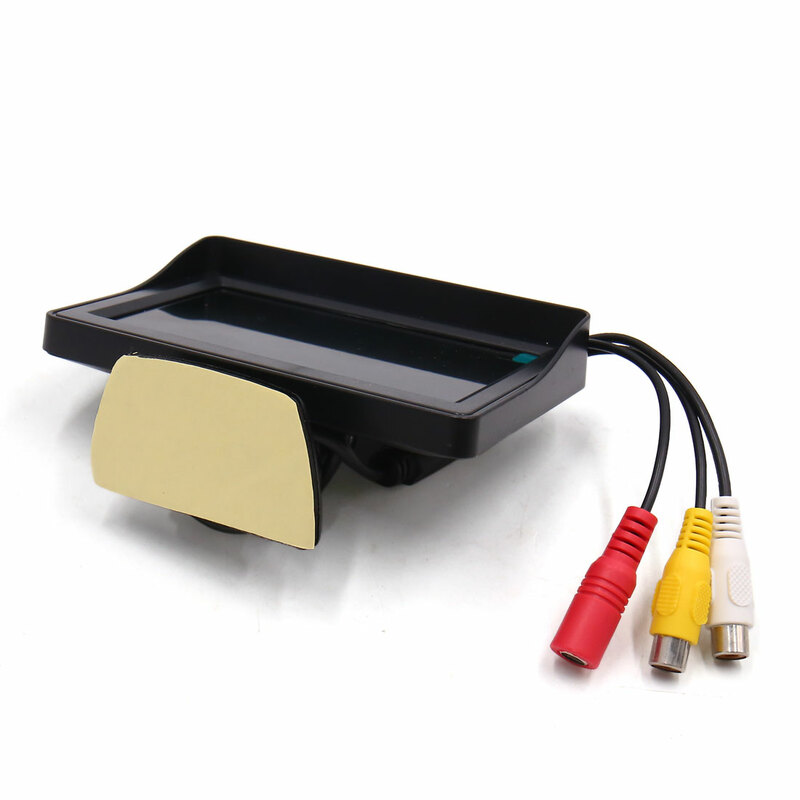 Support multi-role display, suitable for reversing camera or reverse sensor. Dimension: 11.7 x 3.6 x 9.1cm / 4.6" x 1.4" x 3.6" (L*W*H); Screen Size: 4.3"